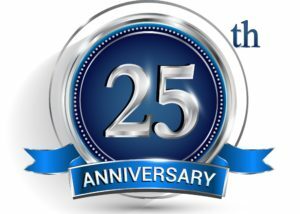 Bed Bugs Nebraska | Pest Control Omaha - Exterminator | Omaha Pest Control, Inc. 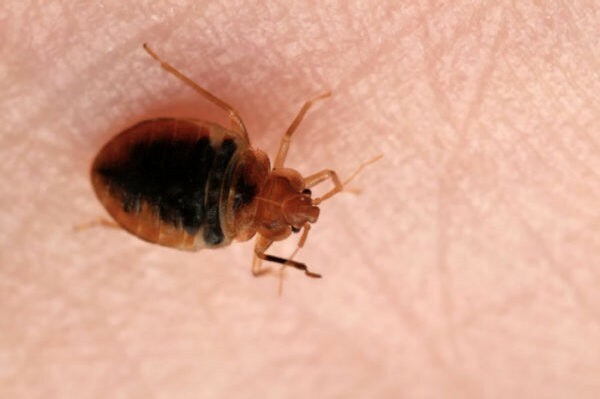 The bed bugs in Nebraska are an increasing nuisance in Omaha, Bellevue, Council Bluffs, and many other cities, so much so that there are even hotel registries that you can check into and see the status of a facility that you are thinking of staying at. Call Omaha Pest Control at (402) 250-0425 for more information. Bed bugs have been in all 50 states and most Americans are aware of and feel that the problem is getting worse. About 75% of the people are concerned about getting involved with them at hotels, movie theaters, friends homes and public transportation vehicles, etc. Omaha, NE ranks in the top 20 most bed bug infested cities of the United States, our location is a major intersection of interstate transfer destinations. Knowing what signs and what to look for are the first steps in finding control. Bed bugs live in unnoticed areas and many times go undetected. The bed itself is the most often site of their livelihood, but other furniture, carpets, and wood trims are also common. They are very small (about the size of an apple seed) and can squeeze through spaces about the width of a credit card. 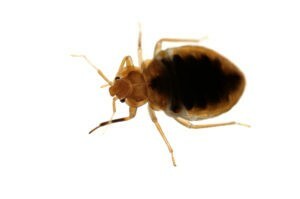 Adult bed bugs are an brown longed, flat oval-shaped body that leave blood stains and dark dropping spots. They are similar to a tick. They are a hardy sort and can travel into your homes at any time. Call Omaha Pest Control at (402) 250-0425 for a free estimate and get a scheduled inspection to see what infestation is present and requirements involved in removing the problem. We have many years of experience controlling these issues. Omaha Pest Control has many years of experience eliminating bed bug problems using residual pesticides with IGR additives (insect growth regulators). Give us a call for a free inspection and estimate to let you know how to achieve success. Don’t hesitate; the bed bugs population will continuously increase rapidly and spread throughout the house, making total control and elimination more difficult. Omaha Pest Control uses the appropriate and EPA approved pesticides to exterminate the bed bug infestation.